Link building is the process of getting external links for your website pages from other related websites. The more quality backlinks your website earn, the more traffic your websites receive from better ranking in search engine result pages (SERPs) achieved by those gained backlinks. Many strategies can be used for link building but the main goal is to get quality backlinks for your website from different related popular sources. Creating quality content is your first clue to earn external links for your website key pages but the process doesn’t stop at this point. Referencing your website in other websites pages is a vote for your website to reach higher ranking that requires to craft a suitable powerful link building strategy. Earning backlinks is an outcome of creating quality content the answers all related inquiries from search engines users and adds superior value to the website visitors. Websites will tend to reference your content in their related topics to benefit from your content as a source of information and expertise. Websites that aren’t popular will earn fewer backlinks than popular websites as their traffic volume isn’t enough to get the desired number of external links. Hence, the need for link building strategy to outreach related websites and blogs to get quality backlinks. Crafting a well-performing link building strategy is an ongoing process that will require analysis to your website current backlink profile, determining issues to handle, defining desired goals out of your strategy, outreaching related high authority websites and popular blogs and evaluating the outcomes of your strategy for future updates on your link building process. 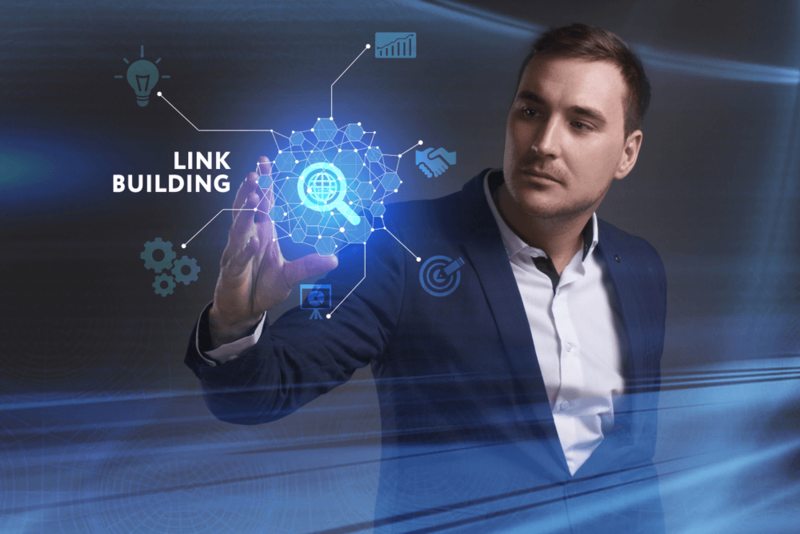 How link building can help your website SEO performance? The number of quality backlinks for any website is a key factor in search engines evaluation for your website to determine your rank in search results. Being referred by other related website is an indicator of authority and trust that boost your position in related search quires. 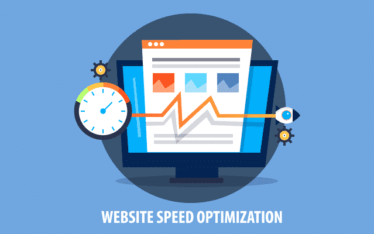 On-page optimization is the first step in search engine optimization process. after creating a quality relevant useful content optimized content related your industry search queries, you should work on promoting your content to get more and more quality backlinks from high authority related platforms to achieve the desired exposure for your website key pages. Search engines algorithms are updated frequently especially Google algorithms to provide more related results to search engines users. Those updates will determine the value of your backlink profile and can devalue any types of links in the future and affects your website SEO performance negatively. Building a diversified backlink portfolio is a tough long-run process that will require ongoing efforts but will yield influential benefits for your website visibility, boost traffic volume and drive more conversion and sales for your business. Editorial Links: Links that are earned from other websites and platforms that refer your content within their pages as a quality source for superior value-added content. Those links carry more weight and value between all types of backlinks. Manual Outreach Links: Links that are gained through outreach activities that include contacting related websites and blogs owners and explaining why they should link your content within their related content pieces. Non-Editorial Links: Links created by users in many ways like blog comments, forum posts or guest post signatures. They carry the least value and weight between different types of external links and receives penalties from search engines for this type of links abuse. How do search engines evaluate the quality of backlinks? Domain authority: external links form websites with higher domain authority carries more value and quality than other links from low domain authority websites. PageRank: is an algorithm used by Google to rank pages in search results related to their content. The higher page rank for external pages linking to your websites, the more link equity your website receives. Trustworthiness of linking domain: External links from trustworthy domains with a low percentage of spam content provide an advantage for better ranking in search results. Anchor Text: Targeted keywords used in the Anchor text of external links to your website are vital to improving ranking. Global popularity: Backlinks form websites with global popularity are more beneficial than those from a local popular website to get more international visibility. The number of linking domains: Diversified portfolio of backlinks for many domains is qualified as a trust indicator rather than receiving all links from only one or two domains. The number of quality links: with other factors constant, more quality links your backlink profile consists of will help to a get a better ranking than regular competitors for targeted keywords with fewer external links. The Relevance of linking pages and sites: Being referred by a page or a website with irrelevant topics has no value compared to links from webpages with related content to your website. Nofollow vs. Dofollow links: External links with rel: ”nofollow” carry less value compared to other links without that attribute. Nofollow attribute is an indicator for search engines that those links don’t pass the link equity and could be adverting sponsored links. Link Neighborhood: Links within spam neighborhood like link exchange pages can hurt your website ranking rather than passing any link juice. Link Position: sitewide links that appear in most of the website pages especially in header and footer carry less value than links within the page content. Freshness: Fresh new links from websites with current high authority and trust signals are more valuable than old links from websites with less popularity than before. 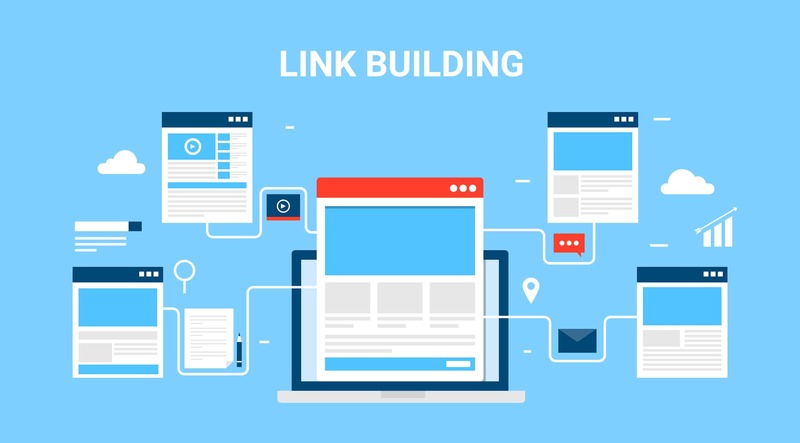 Performing audit and analysis for your website backlink profile is essential to evaluate the current status of external links gained to plan more suitable link building strategies. –Google Search Console provide external links report than contain analysis about your top linked pages, all linking domains and top anchor text phrases used to link your website. All data obtained from backlinks audit and analysis will be useful to measure how successful your current link building strategy based on the number of linking domains, number of quality backlinks and percentage of targeted keywords used in anchor text. This will help to define areas that need improvement to achieve the desired portfolio of backlinks from related high authority domains and getting the desired exposure for your website. This strategy will involve checking the related website and blogs pages to detect broken links within the pages using tools like Dead Link Checker or ahrefs broken link checker. After discovering broken outdated links in your desired external links sources, you’ll contact the website or blog owner to inform him/her about the broken links within their content and offer a related piece of your content to replace those links. This strategy consumes time and efforts but it drives great results as the broken links number is increased over time with the increasing number of websites providing new opportunities every day for getting quality backlinks. The first step in this strategy is to find ranking results for your targeted keyword and discover the content of those ranked results to find flaws (lack of information and answers for search quires – lack of designs or infographics – no or few tips provided to add more value – out of date information). Creating content that beat all ranking results by avoiding all flaws of the first 10 results in search results pages will be your next step in this strategy. The email outreach to related website and blogs owners with customized emails to link your website based on the value added from your content will be the final step to this strategy to get the desired exposure and backlinks. Creating creative designs and useful infographics will add value to your content besides encouraging people to link your infographics and design within their related content pieces. Other platforms could use your infographics and designs without linking your websites and you can find those pages with the use of Google Images search. 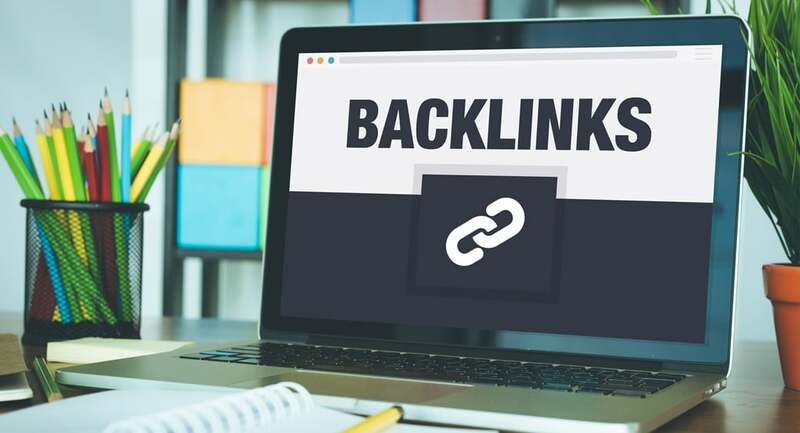 Contacting the authors who use your visual assets and offering to link your website rather than filing copyrights complain could be another method to earn backlinks. How to create quality backlinks campaign step by step? Creating quality backlinks campaign is an ongoing process that will require doing the following certain steps to ensure achieving desired results. 1-Defining desired goals out of the next link building campaign (for example increase organic traffic through higher ranking in search results – drive more conversions from increased reach and traffic). 2-Defining assets that will generate the interests of others and can be used in link building (Content – Data – Products – Services – People). 3-Identifying what types of links (Links to your homepage – Links to “deep” pages – Links containing your brand/company name – Links containing the keywords you’re targeting) you need to perform detailed link analysis are order to identify your position in the competition for targeted keywords. 4-Finding Link Targets (finding who may care about your content enough to link to it). 5- Identifying target audience for links (Find lists of bloggers – Find out more about the persona that you’re targeting – Finding contact details – prioritize link targets by domain metrics, social influence and the likelihood of linking). 6-Outreach to website and blogs owners and start with high-level targets and that will affect smaller websites positively if influencers shared your content (craft detailed message to gain their attention and trust as you’re contacting real persons, not machines). 7-follow up with linking targets (sending follow up emails – deal with negative replies – don’t use mass emails software). 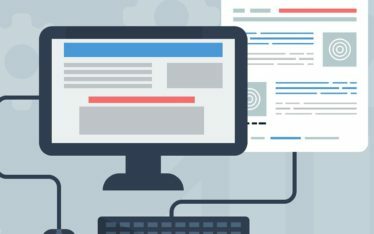 The process of getting quality backlinks for an e-commerce website is tougher than for regular websites and blogs as e-commerce platforms lack the unique content that encourages others to link it within their online platforms. -Use Google Alerts to be notified about positive mentions or reviews for your business around the web. Visit the webpages that mention your brand and find contact information to contact website owners. Ask the website or blog owners to link your website within the piece of content related to the review or mention. -Create a loyalty compensation program for your current and potential customers that reward them for positive reviews including external links to your business website with free giveaways or discounts. -Create how-to-use video tutorials for your products and services that add value for your potential customers and encourage them to share that content and link to your website. -Contact influencers to create content assets to your business (reviews of your products – tweets – Instagram posts) and link your website. Influencers huge fan base will guarantee desired exposure for your e-commerce website. Create content asset which you’ll use to get links and it can be (infographics – data visualization – white papers – how-to guide – videos – image gallery – list posts – Original research and data posts – in-depth ultimate guides). Create Ego bait pieces of content will encourage people to share them as they are included within the content. Provide your alternative and up-to-date content links for websites with their broken links. -Creating your own unique, insightful, and quality content – Building a genuine, engaged community which interacts with your website and each other. -Promoting your website to relevant people in a genuine, personal way by writing personalized messages. -building long-term assets that are strong and unlikely to disappear overnight and avoid automated or manual spam penalties from the search engines. 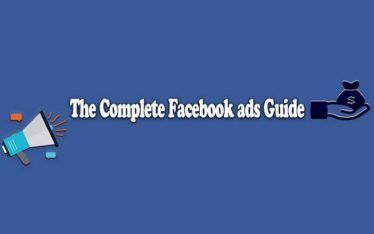 -Hidden text on a page that is only shown to the search engines, not users, typically full of keywords you want to rank for. search engines are working always to detect and stop them and penalize websites for using these techniques. Using black-hat techniques will cause penalties for websites from search engines that can last from a few weeks to several months or until the problem is completely fixed. Buying or selling links that pass PageRank is against Google’s webmaster guidelines but buying advertising nofollow links is acceptable from search engines. Search engines devalue links gained in link exchange rather than earned based on quality content. Search engine optimization is an ongoing process that will require devoting time, efforts and specialized expertise to the whole process specially crafting a suitable link building strategy. Professional Digital marketing agency will provide search engine optimization service and solutions for building a portfolio of natural backlinks. The cost of professional SEO services will save time and efforts devoted to link building activities and drive the desired exposure for your business through external links gained.